teach children how to co-operate and focus on achieving a common goal. I always teach traditional playground games during my PE classes in September and October. Giving children a repertoire of games to play will encourage happier lunch-times and fewer arguments as the rules are clear and everyone knows how to play. I found this great website today and thought that I would share it with you! This website is a fantastic resource for those of us who are a little hazy on how exactly we played some of our favourite games. There are also lots of games that I had forgotten about and am now motivated to teach my class. We shall be playing “Den to Den” this Friday for sure! 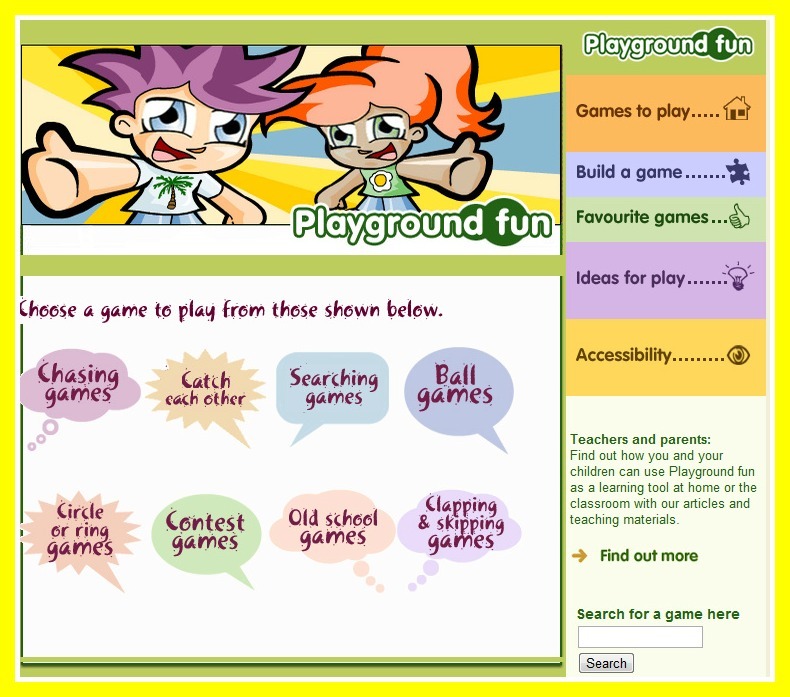 Why not bookmark this site and use some of the games to keep children entertained on play dates or for birthday parties. They will cost practically nothing. I would recommend purchasing a large foam ball to ensure fewer tears but beyond that most are free! I would love to know your thoughts and whether or not you try out some.